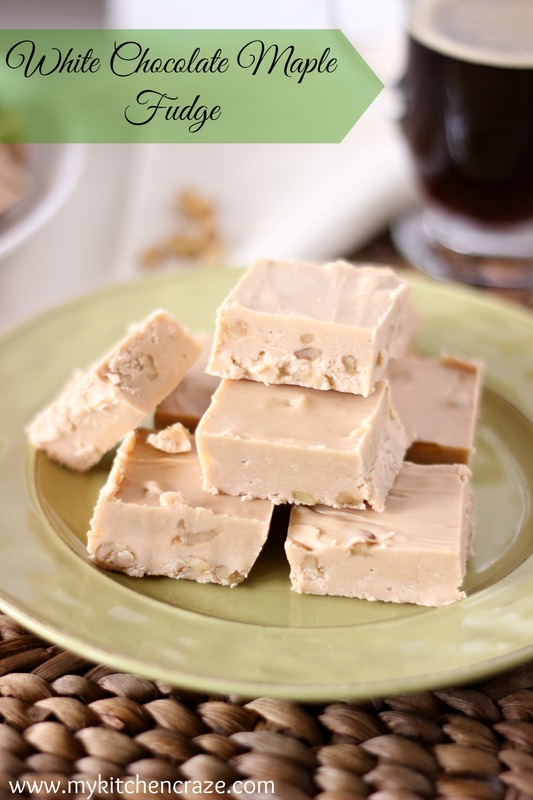 Fudge screams Christmas season to me, and this White Chocolate Maple Fudge is the perfect treat for your Christmas dessert spread. 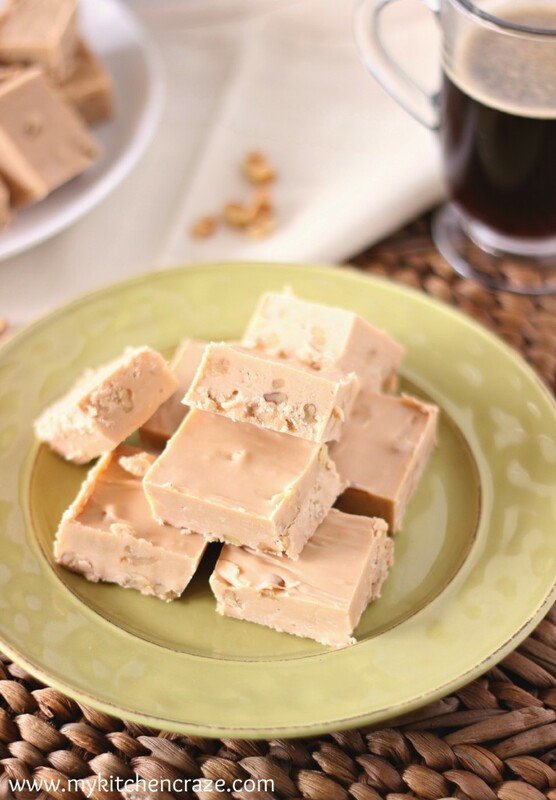 Creamy, maple flavored white chocolate makes for a delicious piece of fudge. Fudge is a holiday tradition in our house hold, but I am not a big fan of it. I like fudge, but don’t like to make it. Let me tell you a little story to better explain myself. 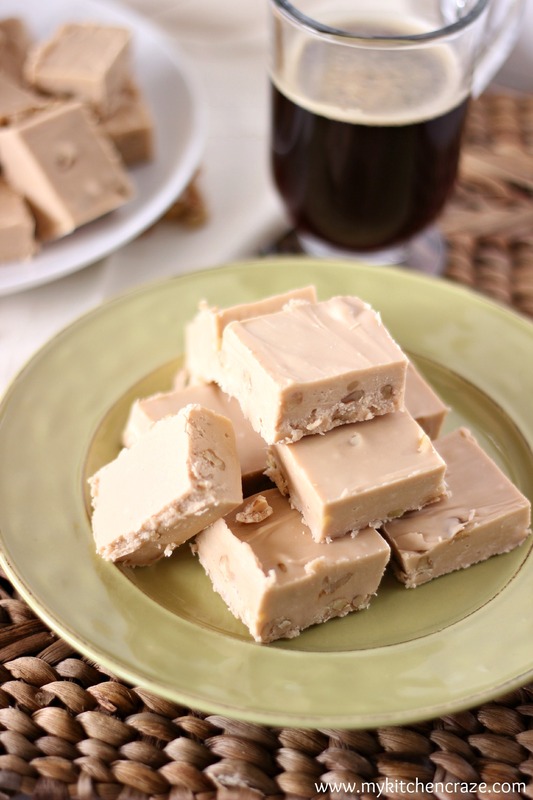 Fudge is one of those Christmas desserts that my mom and I would make every year. No if’s, and’s or but’s. No matter what, everyone in my family knew that my mom, Pam would be making fudge. Now remember I was a kid, so even though yes I loved being in the kitchen with my mom, I wanted to be doing the baking the cool stuff. You know what my mom had me doing? Stirring the melted butter/sugar mixture. The. Whole. Time. Ugh, it was so boring. I wanted to be doing the cool stuff. I wanted to measure and sneak the chocolate chips when my mom wasn’t looking, but noooooo mom had other plans. Fast forward 10 years and that stirring part still gets to me every single time. 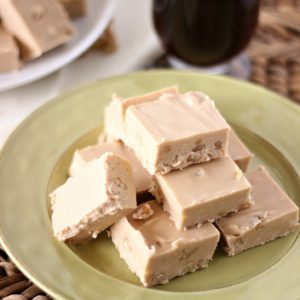 Back in my day (OMG I feel so old saying that) we didn’t have smart phones and fast internet to find recipes, so my mom would always use the fudge recipe from the marshmallow creme bottle. Well, when I looked on the back of the bottle the other day, it said to stir for 5 minutes. I can’t believe I was such a big baby over 5 minutes, but I guess when your 12 years old, 5 minutes feels like 60 minutes. 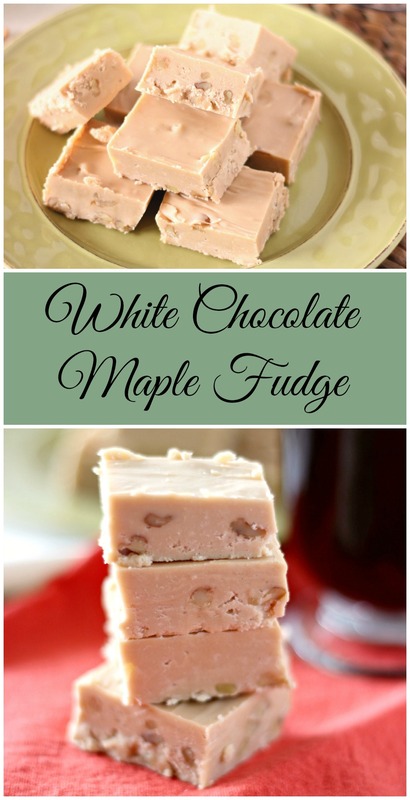 I found this White Chocolate Maple Fudge recipe from an awesome blogger friend, Aimee at Shugary Sweets. I knew that it had to be amazing if Aimee posted it, so I told myself to get over the stirring aspect and get making some fudge. You guys, this fudge is Ah-Maz-ing!!! It is so creamy with a delicious maple flavor. The nuts add a great texture. I ended up taking the fudge to my hubby’s work because I couldn’t very well eat the whole pan. Well, I guess I could but I would make myself sicker then a dog. Everyone at my hubby’s work raved about this fudge! They said they loved that is used white chocolate and the maple favor added the perfect touch. So, if you’re like me and need to get over your fudge worries, then give this a try. Or if you just love fudge, then give this a try. 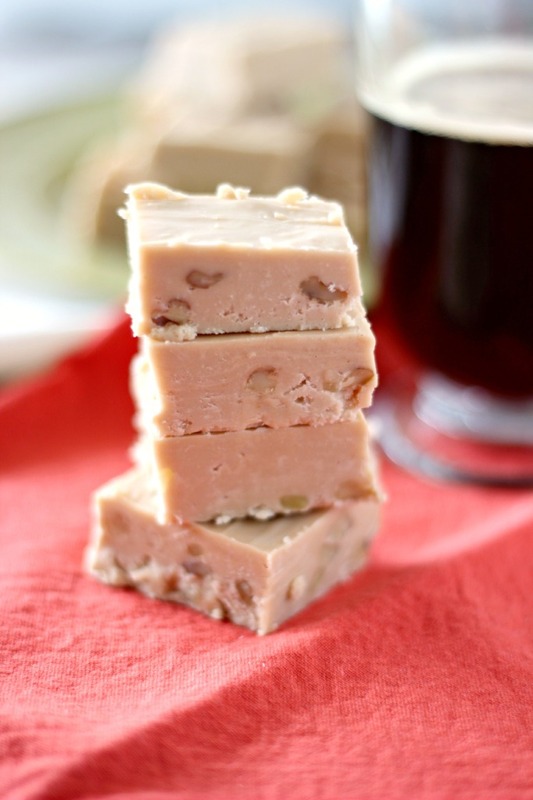 Or if you want to make fudge for the very first time, then give this a try. Just give it a try. You’re gonna love it, promise! Place parchment paper in a 9x13 baking dish. Set aside. In a stand mixer, using the whisk attachment, combine the marshmallow creme, white chocolate chips and maple extract. Set aside. In a large saucepan, over medium heat, add sugar, heavy cream, butter and salt. Bring to a boil, stirring constantly. Once mixture is to a rolling boil (won't stop boiling while you're stirring), continue boiling for 5 minutes. Keep stirring so you don't burn the mixture. Remove from heat and pour mixture into the stand mixer. Whisk together for 1-2 minutes; until smooth. Fold in chopped walnuts. Pour into prepared baking dish; making sure it's an even layer. Refrigerate minimum 4 hours or overnight. Cut into bite size pieces and serve.